Whenever there is a party happening, and people are asked to bring something, I always volunteer to bring the dessert. 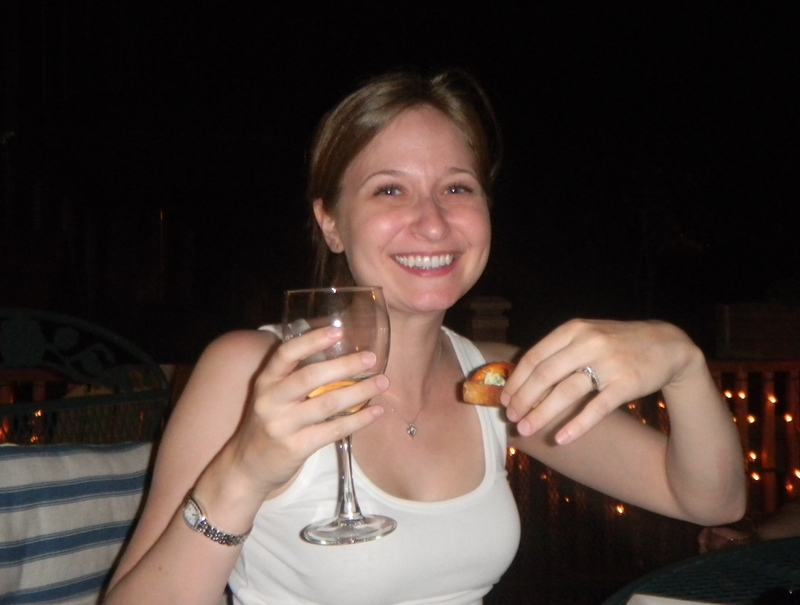 Even better, people are starting to ask me to bring the dessert – either with a specific request or letting me choose. Guess I must make some tasty treats. This past weekend, I had two events where I shared some of me baked goods. The first was my friend Lauren’s birthday dinner. You remember Lauren, right? It was her birthday and she cooked us dinner. How nice of her! I knew the other three lovely ladies that would be with me that evening are chocolate eaters. It’s weird, I love to bake, I love sweets, but I’m just not a huge fan of chocolate. That means I don’t tend to bake chocolate very often, much to all of my friends’ dismay. This time though, I went all out. They wanted chocolate, they got chocolate! 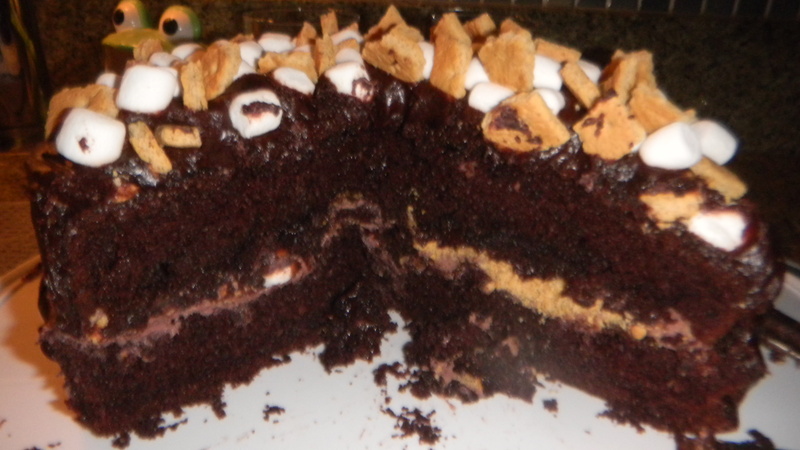 I made S’mores cake. And it was completely of my own creation. Usually, I look for and follow recipes when I make desserts. I’m not the most creative of all people, but I can sure follow a recipe and replicate something I see. 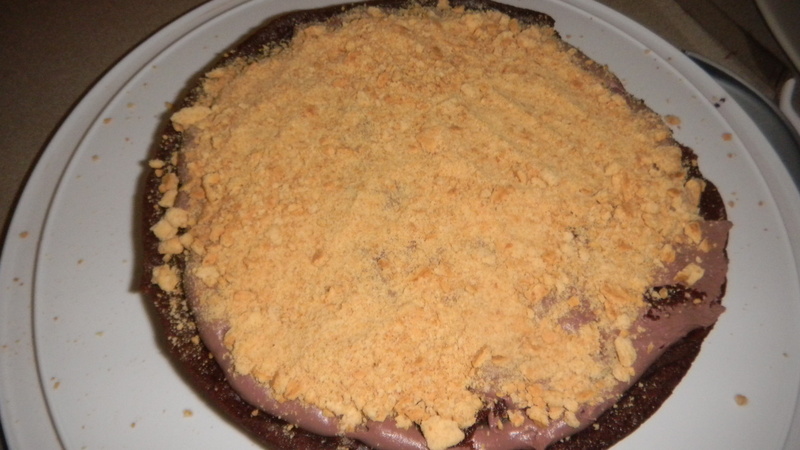 That’s why I was so proud of this cake – I made it up on my own. Truth be told, nothing in this cake is from scratch. That’s what happens when the dinner is on a Friday night and you don’t get home early either Thursday or Friday. But, it was delicious. And easy to make. 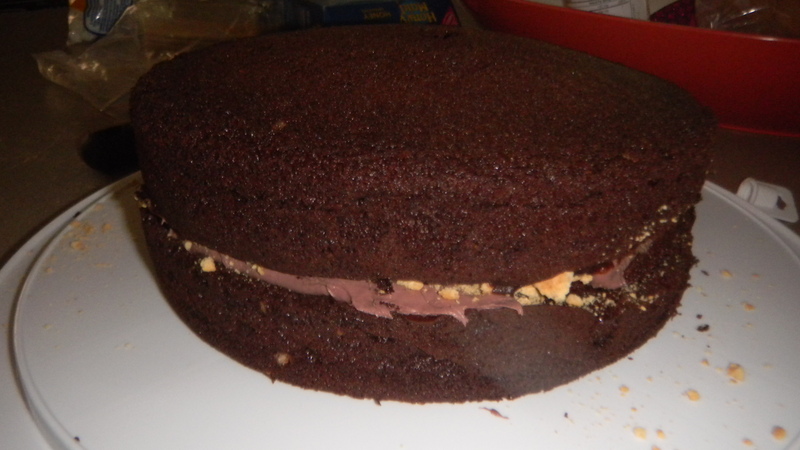 I started with chocolate cake mix bought in a box from the store. 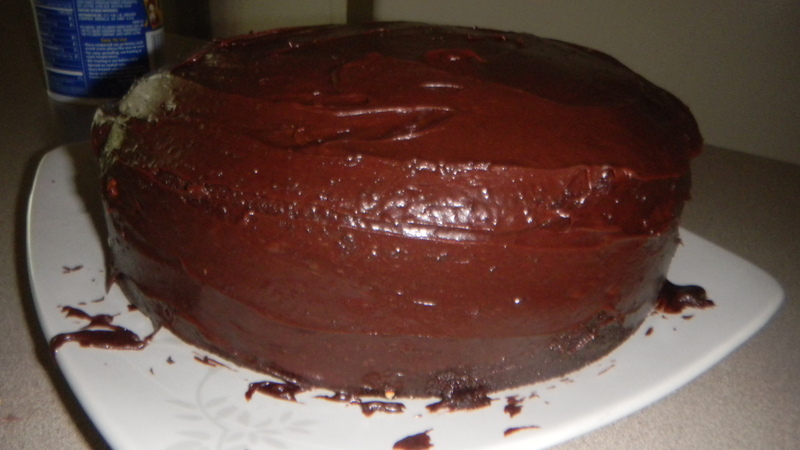 I used Duncan Hines Devil’s Food Cake, but you can use any kind. 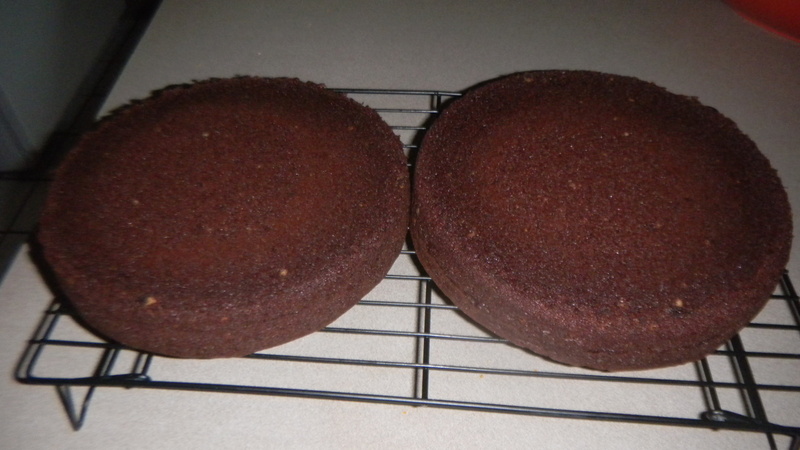 I made used two 8-inch round cake pans, one for each layer. Once each layer was baked and had time to cool, I got to work. 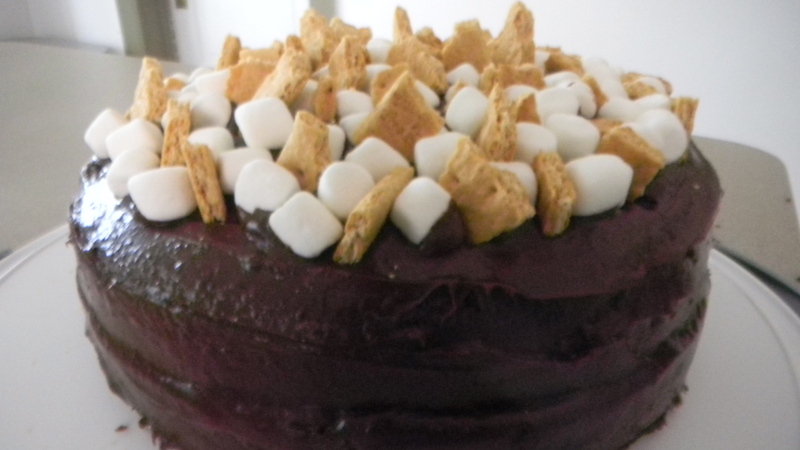 I used some fancy s’mores flavor frosting and smeared that on top of one of the cakes. I finely crushed about 2 graham crackers and sprinkled that on top of the frosting. Then, I put the other cake on top of the first one. I pressed them together, and tried to make the cake look even. I took my store bought frosting and iced the whole cake. To finish it off, I arranged a bunch of mini marshmallows and graham cracker pieces on top. It was delicious and a hit at the party. 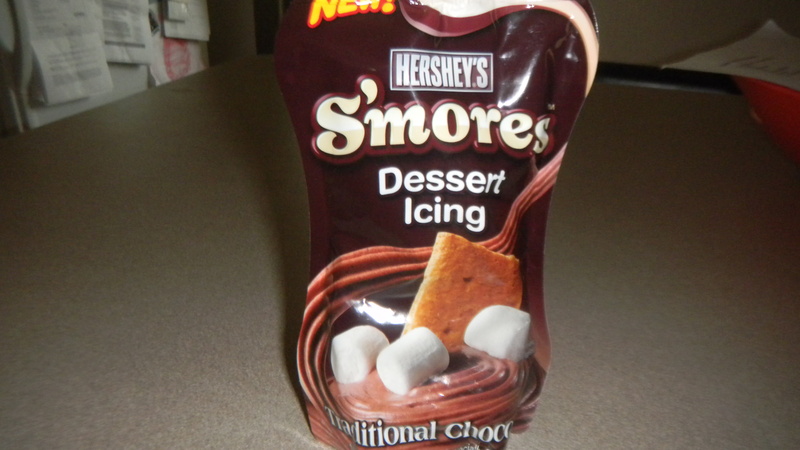 Check back Wednesday to find out about the other treat I made over the weekend. Nope, no coconut, but tons of chocolate-y goodness. I’m glad you liked it!